Aladdin is a joke, right? We are two months out from the release of Disney’s live-action Aladdin remake, and we are only just now getting a full trailer. Usually, two months out from release, we’d be getting the final of two or three trailers, but Aladdin apparently works in reverse. Now that we have a trailer, though, what can we tell of Aladdin? Well, for one thing, it looks like a joke. It looks like Will Smith is hosting SNL and they made a digital short mocking the trend of Disney live-action remakes. Is this a real movie? Are we sure? Some will say that you can’t judge a movie by a trailer, but I say that garbage has a distinct smell and there is no mistaking a trash heap for a park. This trailer is covered in garbage smell, and the fact that Disney set this movie for Memorial Day weekend, when Solo died last year, does not speak highly of their internal expectations for the movie. Also the fact that we are TWO MONTHS away from the release and are only JUST NOW seeing a trailer isn’t a confidence builder. What does look good about this trailer? The costumes are suitably elaborate. The tiger is cool! There’s a shot of giant Iago that is intriguing. And it’s a relief to know that Will Smith won’t be blue the whole movie because the Tobias Fünke genie is an abomination and I don’t like looking at it. But mostly I’m just wondering if we really need live-action parkour Aladdin and where the chemistry went between Aladdin and Jasmine. Are they even in scenes together? There is so little visible chemistry that if you told me those actors filmed their scenes separately, I would not be shocked. Also, this trailer is hiding #HotJafar from us. Sorry Disney, we’re only here for #HotJafar. 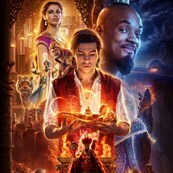 I’ll be the first to admit I’m wrong if Aladdin turns out good, but I bet this ends up being Disney’s bomb for the year. 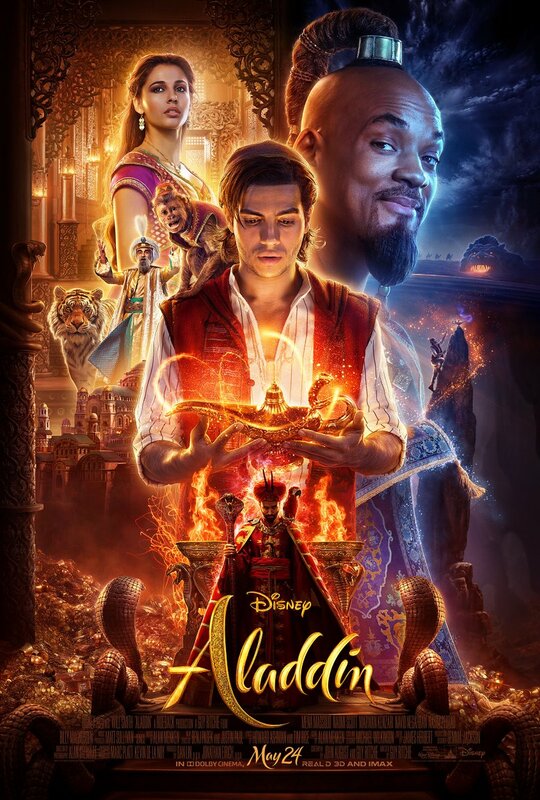 They won’t even notice, what with all the money from Avengers: Endgame, The Lion King, and Star Wars: Episode IX that will pour in, but there is always a stinker and this year it looks to be Aladdin. This movie will only be watchable for the songs, which are pretty great, although I’m not sure I’m looking forward to Will Smith rapping “Friend Like Me”. The real question facing Aladdin is whether or not it’s bad-good, or just bad-bad.